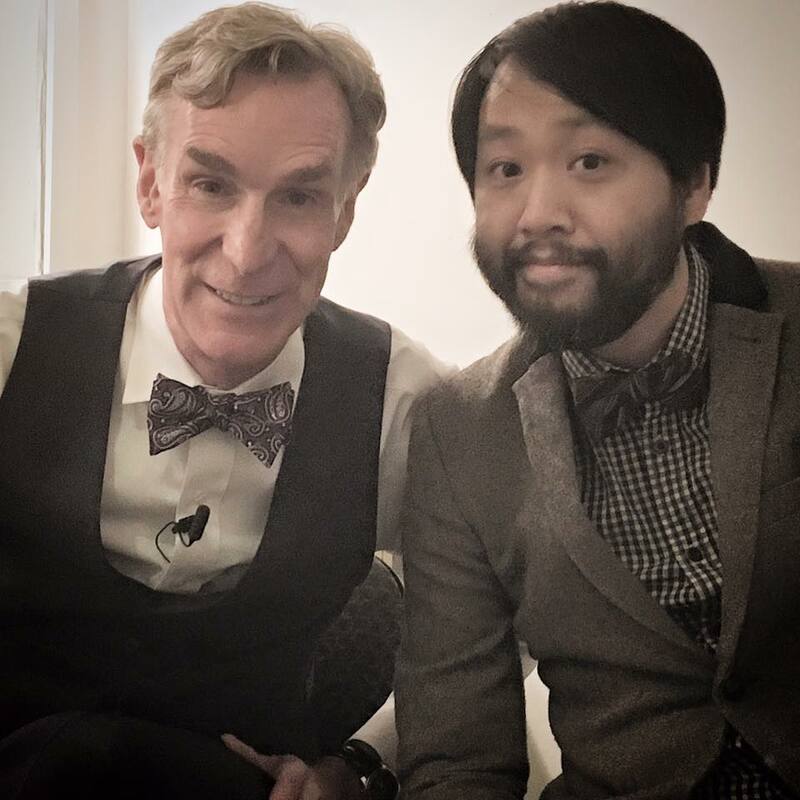 Lawrence joined famed science communicator and US national treasure Bill Nye on-stage at his Melbourne show. Together they tackled all manner of fascinating, geeky and curious Audience Questions. Off the back of his new Netflix series Bill Nye Saves The World, the educator/science activist toured packed-out theatres Sydney and Melbourne with his trademark wit, wisdom, no-nonsense evidence-based rants and entertaining anecdotes covering everything from his mother’s top secret Enigma codebreaking, to solutions for climate change and the limitations of Mars colonisation. 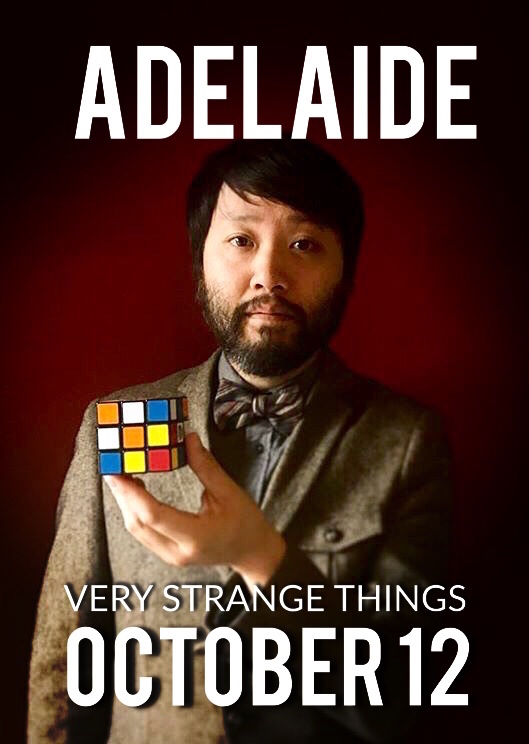 Lawrence’s award-winning comedy/mystery show VERY STRANGE THINGS continues its Australia-wide tour with a special night in Adelaide. Lawrence on ABC Radio Adelaide freaking out the radio host Jules Schiller with an “impossible” Very Strange Thing. Lawrence has taken his wickedly unique blend of psych experiments and stand up comedy to festivals around Australia, with sell out shows and critical acclaim. 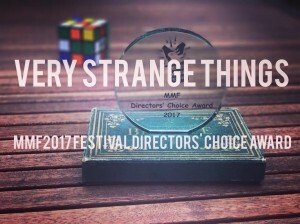 VERY STRANGE THINGS promises to be the most mind-bending and side-splitting experience you’ll have in a theatre this year. It’s for one night only in Adelaide so BOOK NOW . 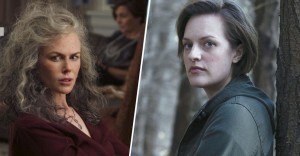 Lawrence appeared in two productions having their Australian premieres at this year’s Melbourne International Film Festival. 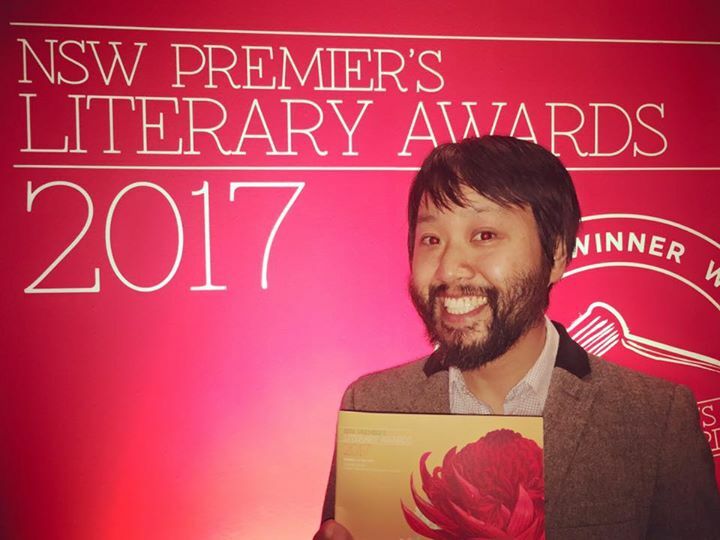 He played roles in the eagerly anticipated Jane Campion mini-series TOP OF THE LAKE: SEASON 2 and Tin Pang’s heart-wrenchingly honest short MOTHER CHILD. 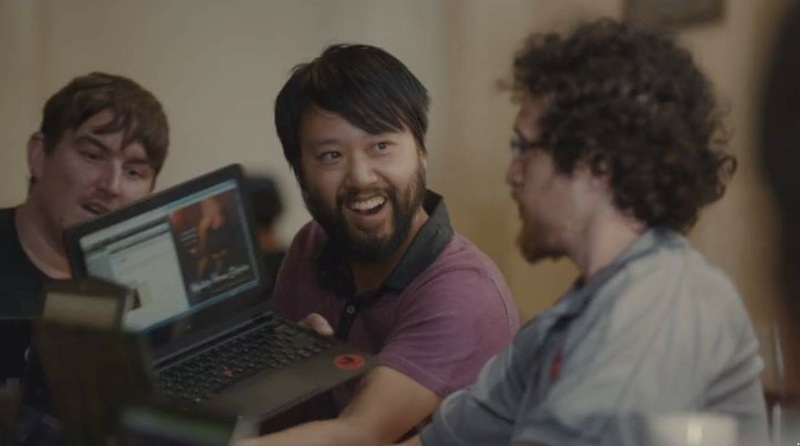 Playing against type (we promise), Lawrence portrayed NATE a sleazy computer geek who administers a website that reviews brothels. 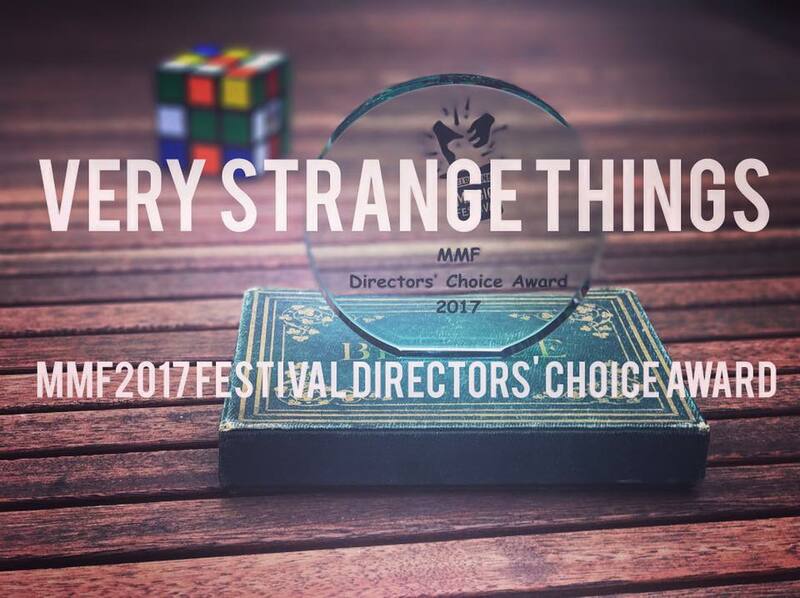 UPDATE: Very Strange Things wins the Director’s Choice Award at MMF17. Massive thanks to all the audiences who came and made it such a great season. 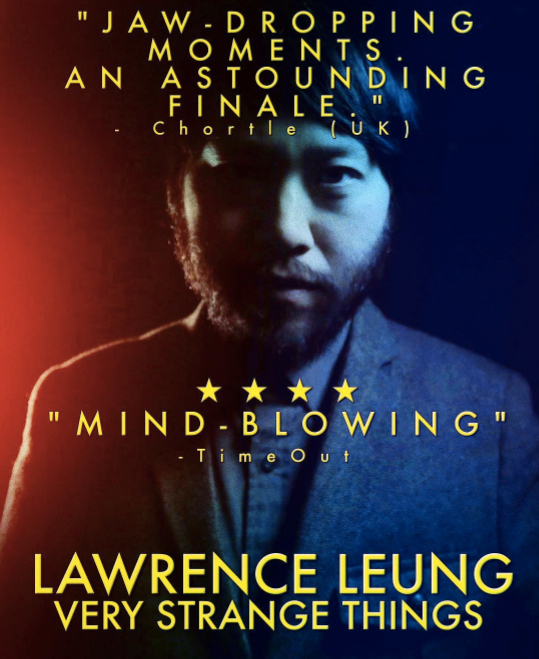 If you missed it at last year’s Comedy Fest, here’s your only chance to catch Lawrence Leung’s mind-bending stand-up comedy show. this July for 5 nights only. Lawrence has taken his wickedly unique blend of psych experiments and stand up comedy to festivals around Australia, with sell out shows and critical acclaim. He’s bringing it back home to Melbourne, one final time, as part of #MMF17. 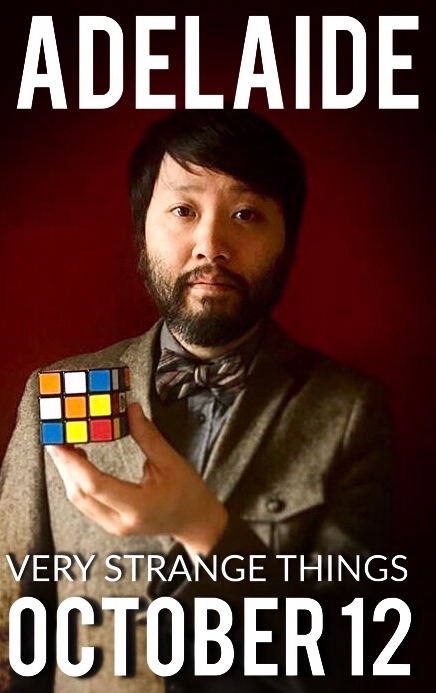 VERY STRANGE THINGS promises to be the most mind-bending and side-splitting experience you’ll have in a theatre this year. as part of the 10 anniversary of The Melbourne Magic Festival. 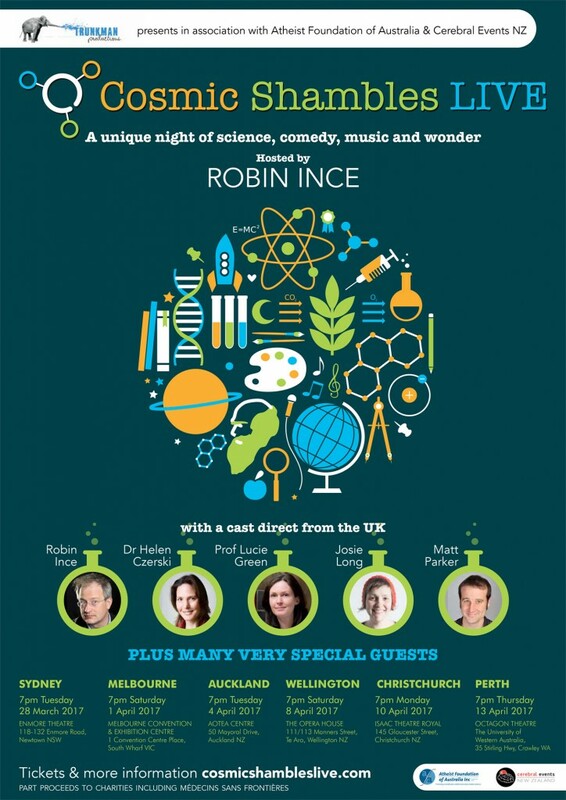 COSMIC SHAMBLES LIVE is a gala night of science, comedy and music! After successful runs in the UK, co-host/comedians Robin Ince and Josie Long tour their Science Variety Show to Australia and NZ. 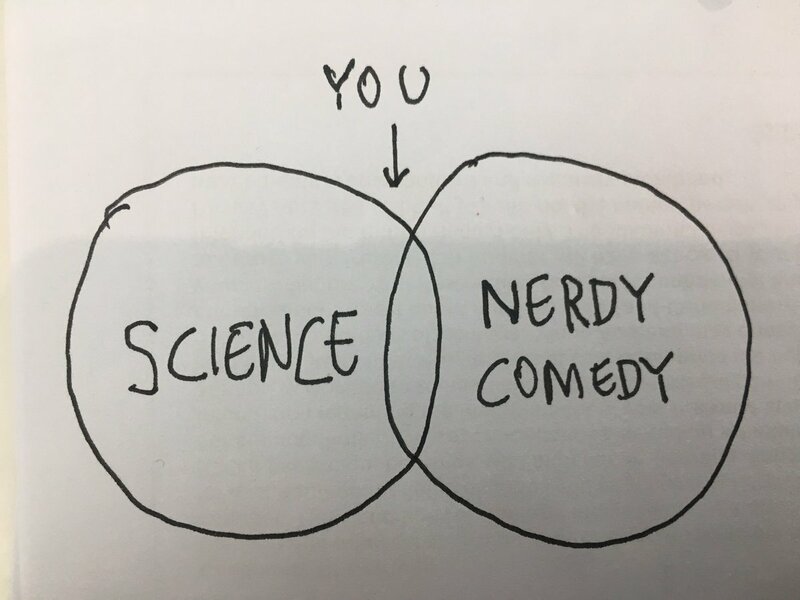 The Melbourne show on April 1st includes Helen Czerski (bubble physicist), Matt Parker (stand up mathematician) and Lucie Green (cosmologist) and Rod Quantock, astrophysicist Dr Katie Mack, musician Ali Barter. 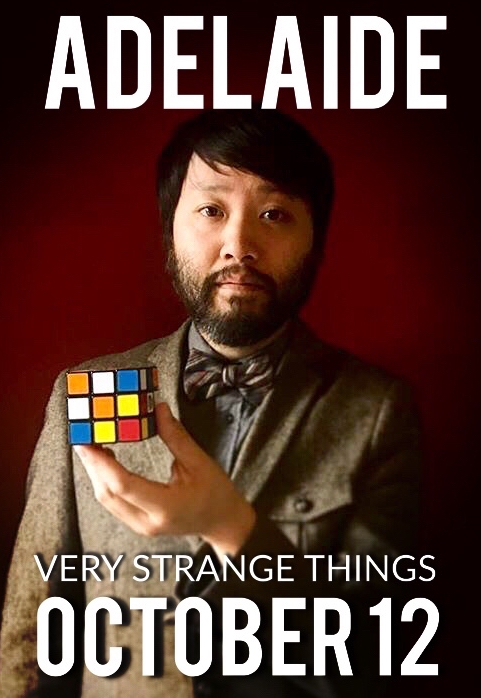 Oh and resident-geek Lawrence Leung also joins the Melbourne cast to talk about scepticism, growing-up geeky and Rubik’s Cubes. Cosmic Shambles LIVE is a variety show that celebrates curiosity and reason, an explosion of science, comedy, music and general wonder, with a great sense of fun. Lawrence Leung’s new show is coming to the Brisbane Comedy Festival in March 2017! Beardy comedian, writer and star of ABC TV’s Choose Your Own Adventure, Unbelievable, Maximum Choppage and Ten’s Offspring is finally making his Brisbane Comedy Fest debut with some Very Strange Things. This is unlike any comedy show you have ever seen! 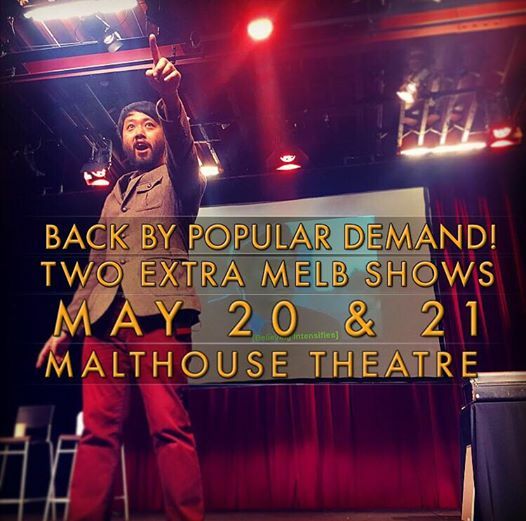 An evening of comedic curiosities, mindgames and hilarious stunts described as “mind-blowing” in Time Out magazine’s list of Must-See Melbourne Comedy Festival shows. 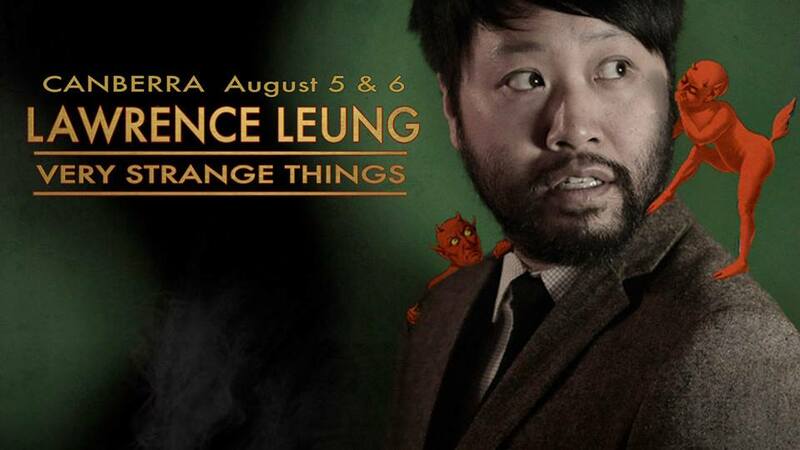 After sold out shows and critical acclaim in the Melbourne, Sydney and Perth Comedy Festivals, Lawrence Leung’s cult hit comedy show “Very StrangeThings” comes to Brisbane. 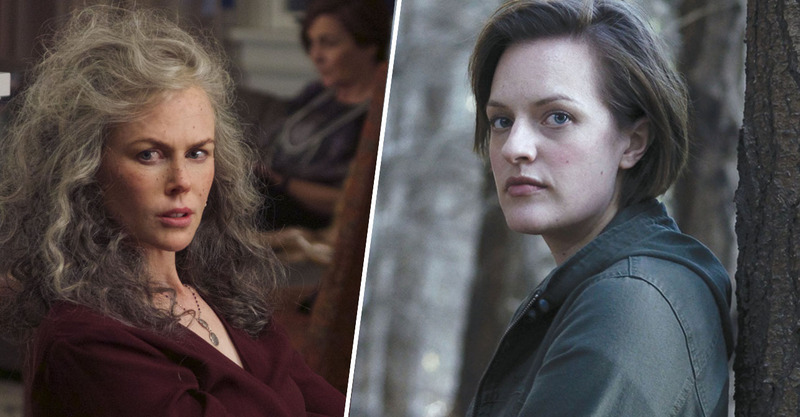 Don’t miss out on experiencing the most unique, side-splitting and mind-bending show of the year. 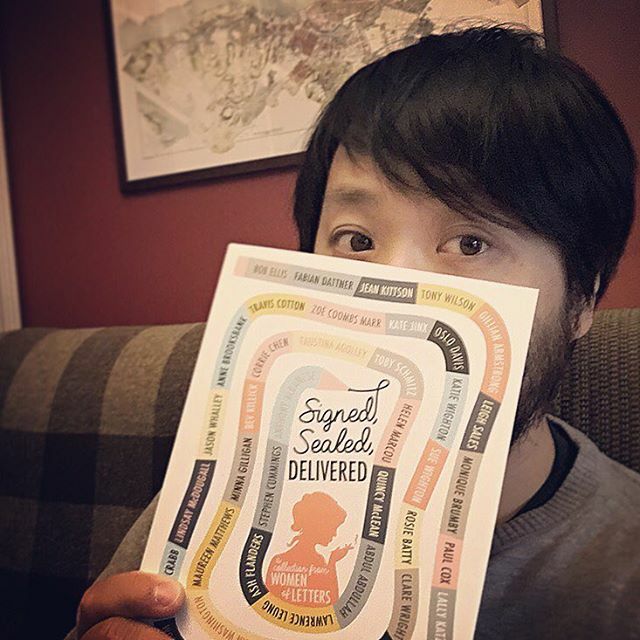 Lawrence is thrilled to have his “letter” to his mother published in the new anthology SIGNED SEALED DELIVERED compiled by Marieke Hardy and Michaela McGuire, the organisers behind literary salon Women of Letters. Back in 2015, Lawrence was invited to write and perform a “Letter To The Woman Who Changed My Life” at a Men Of Letters event before a packed auditorium at the Regal Theatre in Northcote. A year later, favourite love letters, confessions and missives from various guest writers at Women/Men/People of Letters events from across 2015/2016 were then compiled into a new book Signed Sealed Delivered (pictured above), available in paperback from good bookstores and Penguin here . Lawrence’s mum quite enjoyed the letter. Lawrence posed for artist Dean Manning earlier this year in Sydney. The portrait entitled ‘Maximum Lawrence’ has been announced as one of the finalists in this year’s Archibalds. According to Art Gallery NSW, the Archibald Prize is awarded annually to the best portrait, ‘preferentially of some man or woman distinguished in art, letters, science or politics, painted by any artist resident in Australasia’. Congrats to Dean Manning. 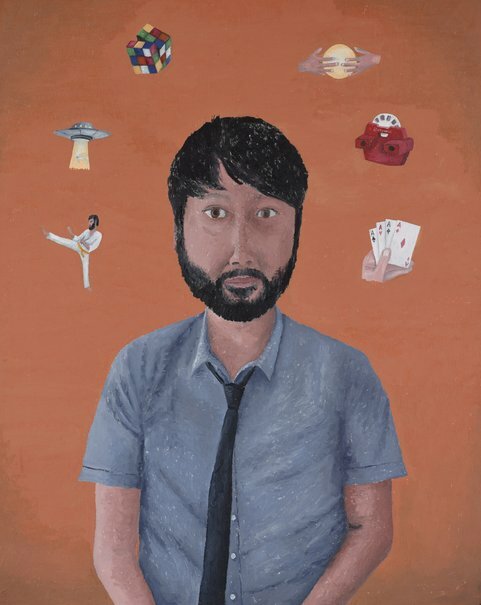 His portrait as well as all other finalists can be viewed at the Archibald Exhibition at the Art Gallery NSW before the paintings go on tour around Australia. 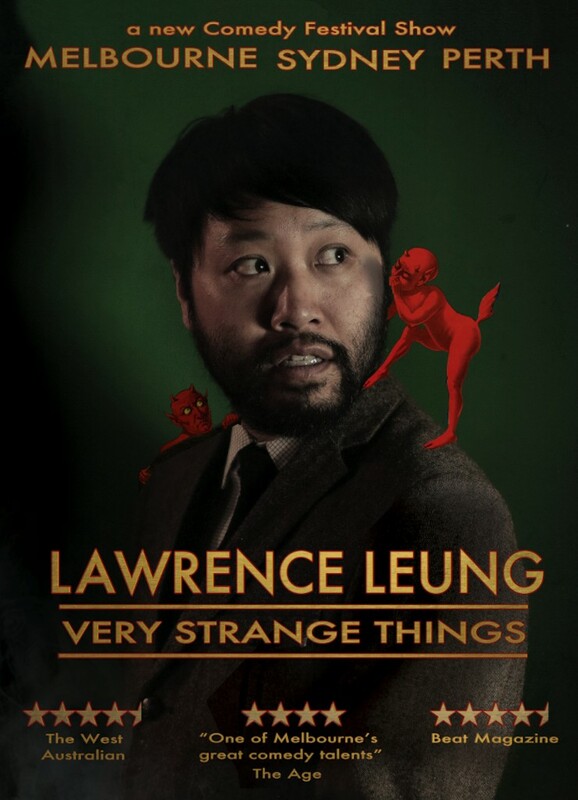 After sold out shows and critical acclaim in the Melbourne International Comedy Festival, Lawrence Leung – Very Strange Things is embarking on it’s national tour. So far he’s had incredible nights at the Melbourne, Sydney and Perth Comedy Festivals, and now it’s heading to a city near you. Check here for tour dates/city updates. Don’t miss out on experiencing the most unique, side-splitting and mind-bending show of the year! Lawrence presents an evening of wonders and mischief in the stunning Malthouse Theatre (Melbourne), the Sydney Town Hall and the Perth Town Hall. 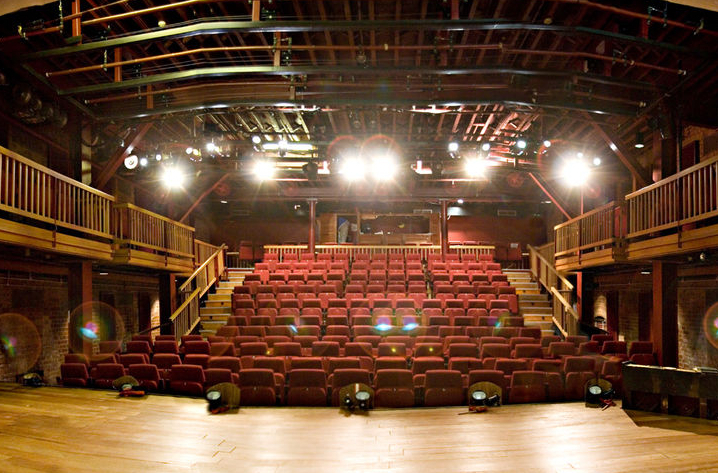 The Beckett Theatre at The Malthouse, Melbourne. 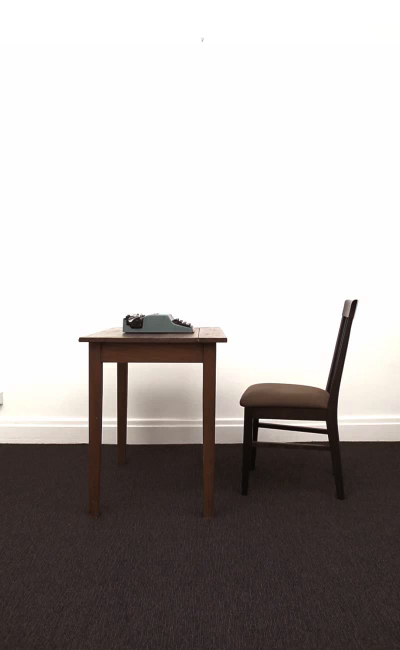 Experiments, mind games and impossible coincidences. 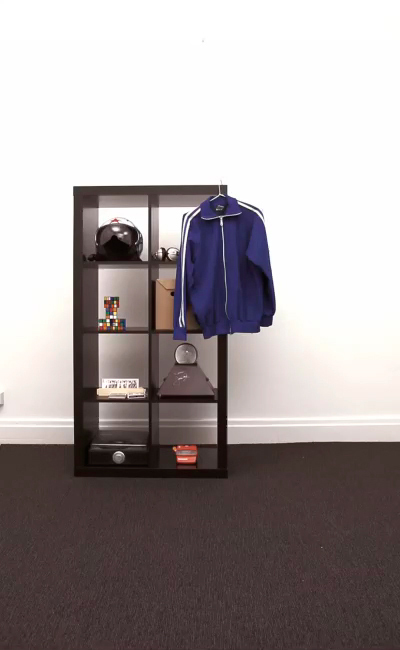 Join Lawrence in his fascinating yet ethically-dubious laboratory of unexplainable things. An evening of comedic curiosities, mind-bending occurrences and side-splitting laughs. Lawrence is an award-winning standup and filmmaker from TV shows Maximum Choppage (ABC2), Unbelievable (ABC1), Choose Your Own Adventure (ABC1), and the feature film Sucker. He also played an awkward doctor on Offspring. Lawrence has also designed theatrical illusions, pranks and deceptions for stage and TV … so expect something very funny and strange.